This stone tomahawk is authentically constructed in the same way they were made in the 1800s. 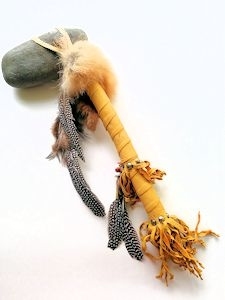 The head of the tomahawk is a river stone attached to a chokecherry hardwood handle with a rawhide thong. The handle is wrapped in real deerskin leather and has two rows of brass tacks and 5" fringes. 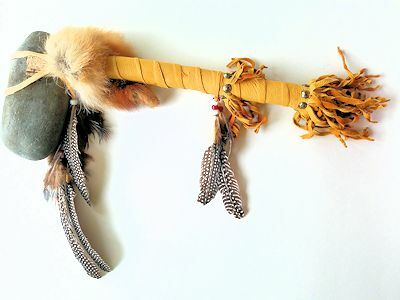 The handle also has red fox fur and two bundles of feathers held on with glass crow beads. The big feathers are guinea feathers and the smaller feathers are pheasant. 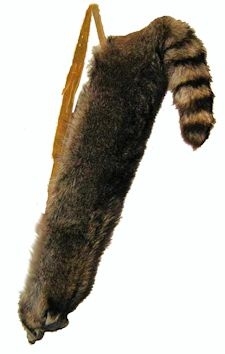 The overall length is 19 inches (48.26), including the 5" (12.7) fringe on the bottom of the handle. The tomahawk stone is approximately 6.5 inches (16.51) long. This stone tomahawk replica can be shipped internationally. 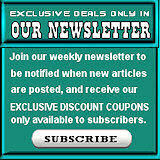 Not produced by a tribal member or a particular indian tribe as defined by 26 USA - 605 et Seq. This product was added to our catalog on 09/25/2018.